Tucked away in the centre of the village, take the time to stop and admire the 19th century facade of your hotel, you are about to enter a unique building. Once inside you will be surprised by its chalet style. Golden woods prevail, whilst your view is constantly drawn to the surrounding snowy peaks. This cosy nest is a family affair, Conchi and Jean-Mi are your hosts, the bar is welcoming, the terrace is heated, perfect to sip a vin chaud at the end of the afternoon. 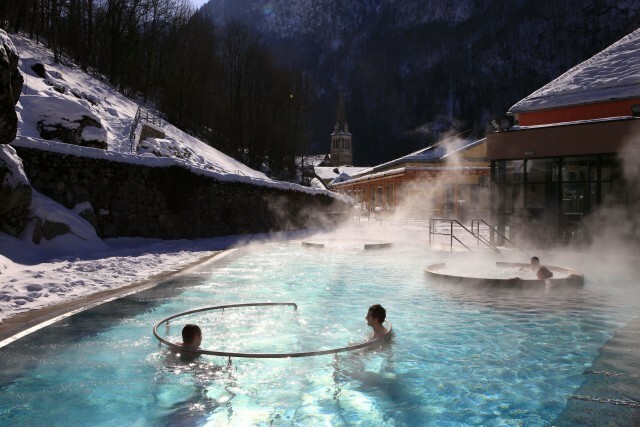 2 nights B&B in 3 star hotel - 2 day ski pass for Cauterets - 1 entrance (2hrs) to Les Bains du Rocher spa - Booking fee.